More than 23.9 million passengers traveled through Reagan National Airport in 2017, up 1.4 percent from 2016 and the seventh consecutive year with a record passenger count. It's not the only area airport to see a bump in traffic. WASHINGTON — More than 23.9 million passengers traveled through Reagan National Airport in 2017, up 1.4 percent from 2016 and the seventh consecutive year with a record passenger count. 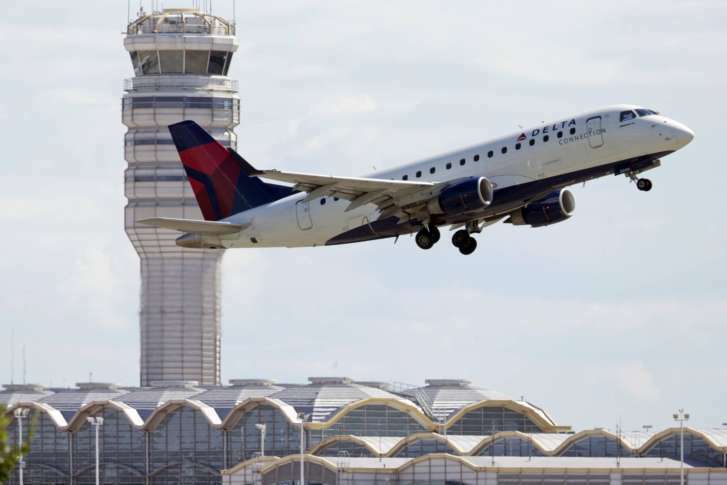 The Washington Metropolitan Airports Authority said growth at DCA was led by passenger increases on Delta Air Lines, United Airlines and Alaska Airlines. At Dulles International, the 2017 passenger count was 22.7 million, up 4.1 percent from 2016. Dulles is, by far, the largest of the region’s three airports for international flights, and international traffic at Dulles grew for the 14th consecutive year to a record 7.7 million passengers. Southwest Airlines and Frontier Airlines both had double-digit traffic increases at Dulles in 2017. The Airports Authority also continued to improve services at both airports last year, adding nine new retailers and restaurants at Dulles and eight new retailers and restaurants at Reagan National last year. BWI/Marshall Airport reported 2017 results earlier, and remains the busiest of the region’s three airports, with 26.4 million passengers in 2017, its third consecutive annual record.